On the first day of Haikou World Open, China's Tian Pengefei recovered from 0-4 down to beat Stuart Carrington by 5-4 to move on to the next round. 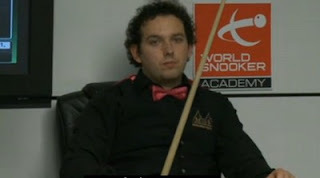 Having lost the first three close frames, the Chinese found himself 0-4 down to Stuart Carrington at the mid session. However he did not give up and reduced the gap to 3-4 with three half centuries. 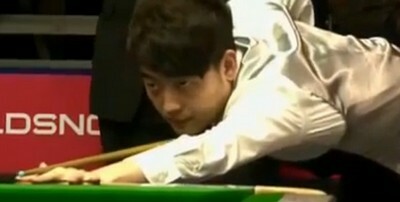 In the important eighth frame, Tian made 118 to force a decider. Eventually Tian Pengfei won the decider and the match to get one step closer to qualify for the tournament in his home country. Tian will play Adrian Gunnell in the next round. Another man David Morris from Ireland has done the similar comeback against his opponent. Morris came from 1-4 behind to beat Adam Wicheard in decider with breaks of 86, 74 and 69 to set up a clash against Tony Drago in round 2. Yu Delu saw off Cao Yupeng in the all-Chinese match with the scoreline of 5-2 while Sam Barid defeated Belgian Luca Brecel by 5-3.